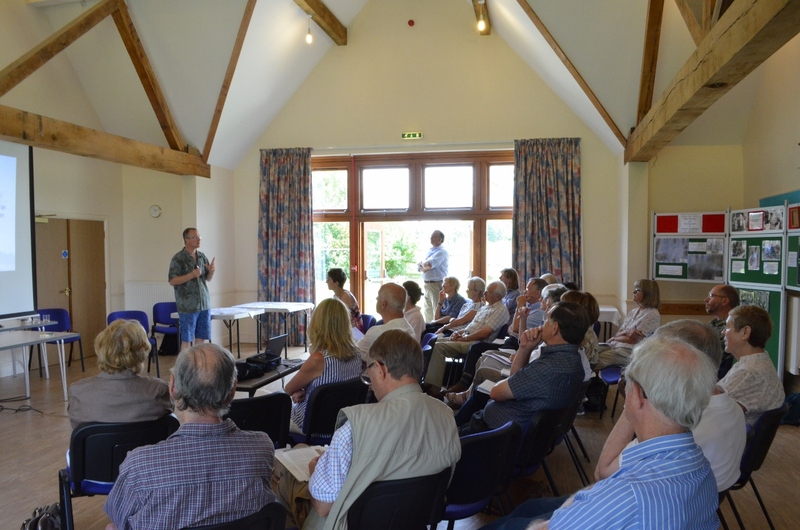 The Cotswold Tree Warden Group hosted their Annual Conference for 2014 on Saturday 26th July at Condicote Village Hall, with a visit to Batsford Arboretum. 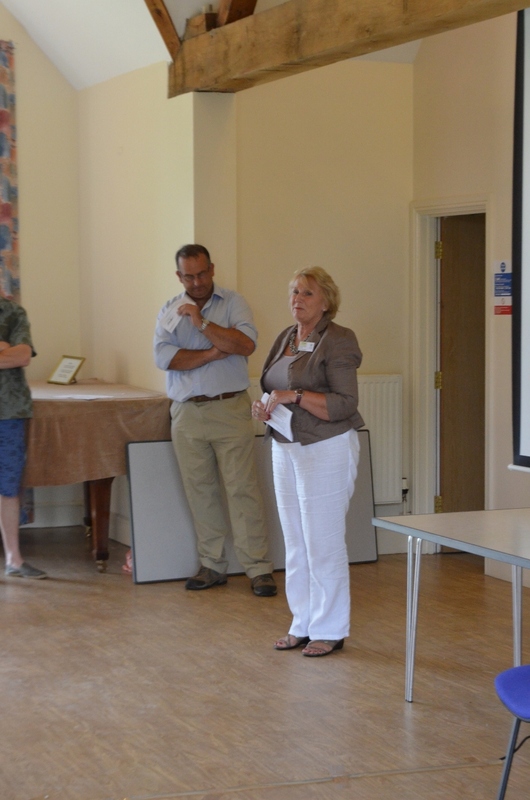 The Conference was opened by Cllr Mrs Sue Jepson who is Cabinet Member for Planning and Housing on Cotswold District Council. The first item of the day was a presentation by Guy Watson on Conifer Identification. Guy interacted with the delegates on means of identifying the trees using amongst other things leaves, cones and fruits. 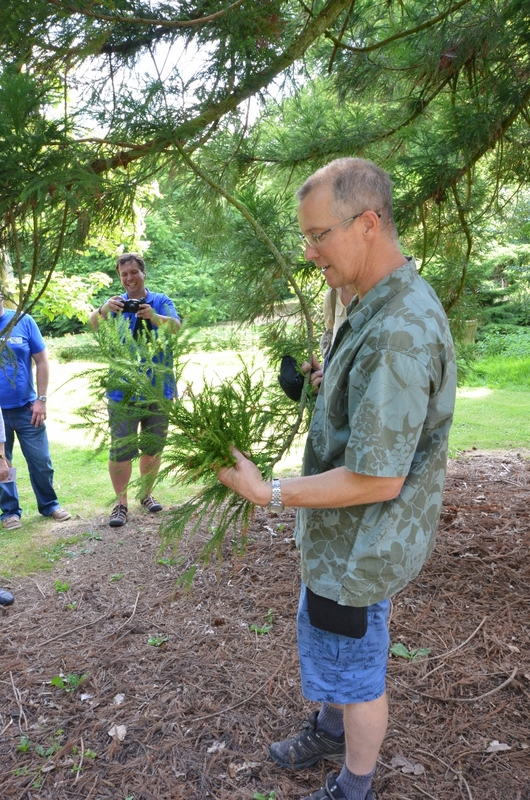 Following his presentation at the hall Guy gives practical guidance on conifer identification. 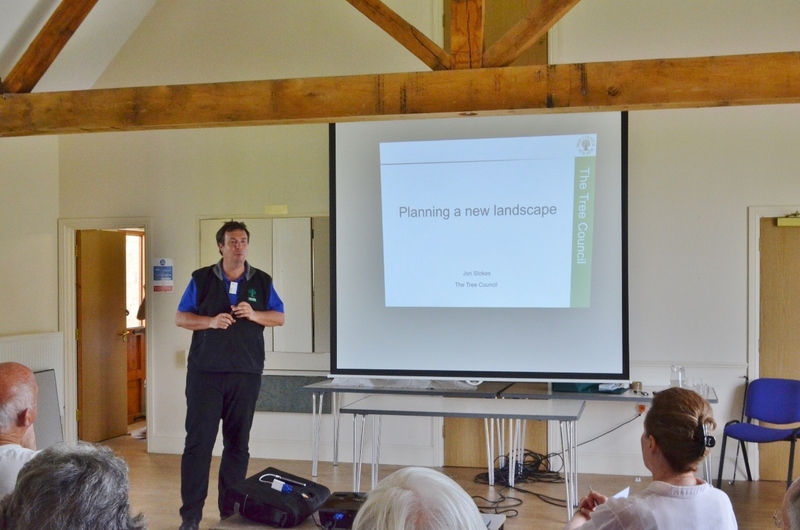 At the hall, Jon Stokes (Director of Rural Programmes at the Tree Council) impressed upon the delegates worries over prospective change to the landscape caused by pests and disease. He noted the prominence in the Cotswold Landscape of Ash trees both in hedgerows and woodland. “Nobody knows” for example, when the effects of Ash dieback will reach the Cotswolds. He emphasised the importance of forward planning by Councils and Landowners to ensure the continuance of a landscape enriched by trees. 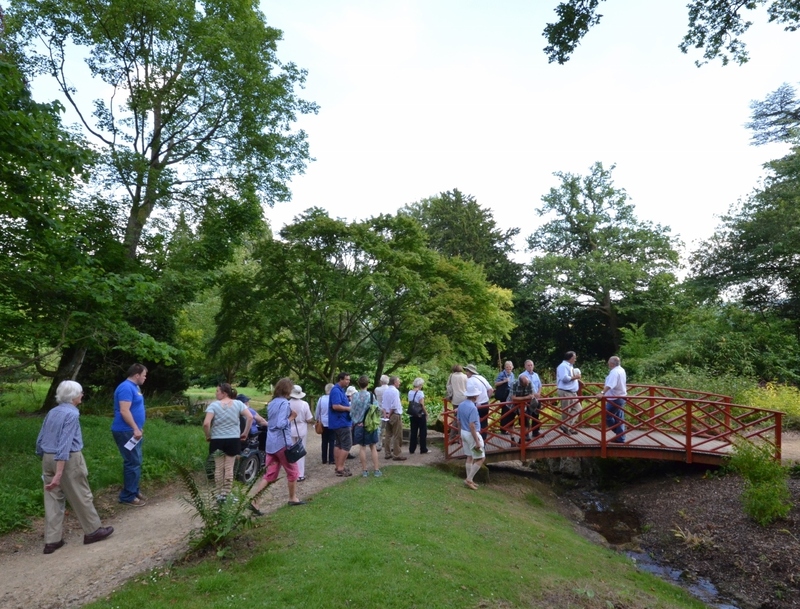 Stuart Priest, Director of Operations at Batsford Arboretum set the scene for the afternoon visit to the Arboretum. 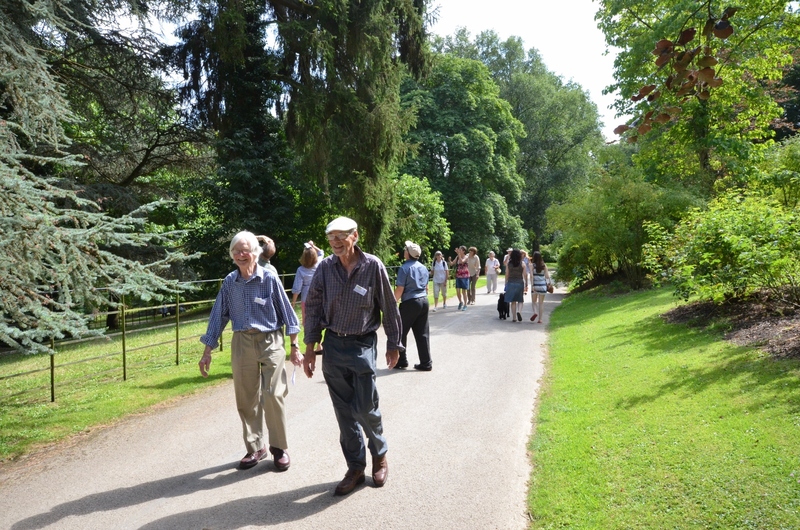 Following an excellent buffet lunch the delegates departed to the Arboretum where they had a tour and further identification training. 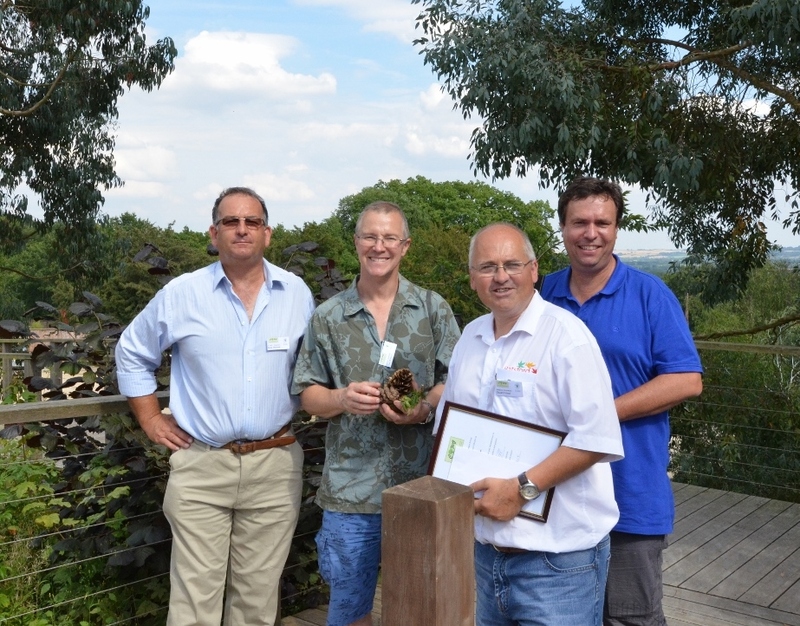 Stuart Priest received, on behalf of The Batsford Foundation, a donation from The Cotswold Tree Warden Group to assist in the furthering of their educational programme. Mike also presented him with a certificate to commemorate our visit. For further coverage of the Conference please see the page Tree and Leaf then Summer 2014.